As some followers of this blog know, I’m a longtime devotee of Astanga yoga (sometimes, unfortunately, known as “power yoga”). Astanga is a relatively active form of yoga in which the practitioner jumps from pose to pose; each pose in turn is held for a relatively short set number of breaths. Because I do “self-practice,” meaning that I do Astanga yoga at home by myself, my practice has somewhat deteriorated over the past few years. I do it, sure, but the requisite number of breaths has shortened to second hand levels (as in, about one second per pose) and my focus has become increasingly… diffused. One possible remedy would be to simply give more time and energy to my existing yoga practive. But that’s not really the ManicD way of handling an issue of this kind. Instead, what I’ve tried is to add in something else, something which I can also pursue in a slightly desultory way: meditation. Meditation is probably harder for the Manic personality than Astanga yoga, as it involves minimal jumping. But unlike my self-led yoga-practice, I’ve tried to meditate in a mediation session, at a meditation center, with a teacher and pillows, and other, sincere-looking people, and one of those beautiful bells in a bowl. This structure, given my achievement-oriented personality, actually inspires me to sit still. I really do like the sessions. When I’m in one, I feel more aware, more tolerant, more wise, more balanced. The problem is that after I come home from one of these sessions, I seem to be driven to some form of extreme behavior. I don’t rent a race car, or go out on the town–I just do things that are, as they say in Buddhist terminology, unskillful. After last night’s session, for example, I stayed up till about 3:30 a.m. reading the new Sookie Stackhouse mystery from Charlaine Harris—Dead In the Family, the tenth in the series. 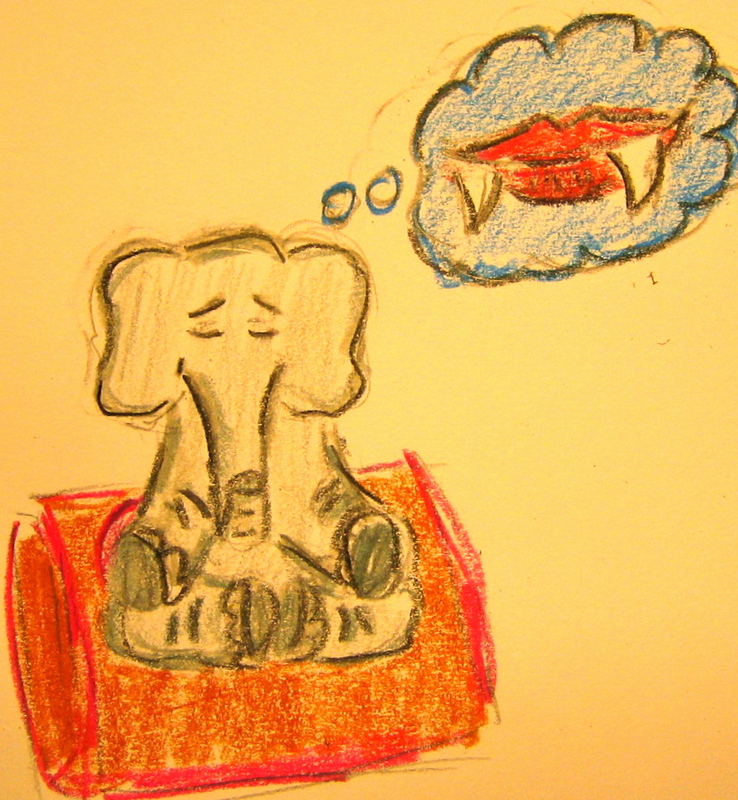 But the meditation teacher last night, a very thoughtful and meticulous speaker, had a curiously bloodless quality. She smiled frequently;she said things that, if not original, were useful; she wore a very tasteful, shawl. And yet she also left me in a state ripe for self-indulgence, blood–errr—lust, the super-handsome, super- passionate Eric healing Sookie of her post-Fairy-torture trauma. 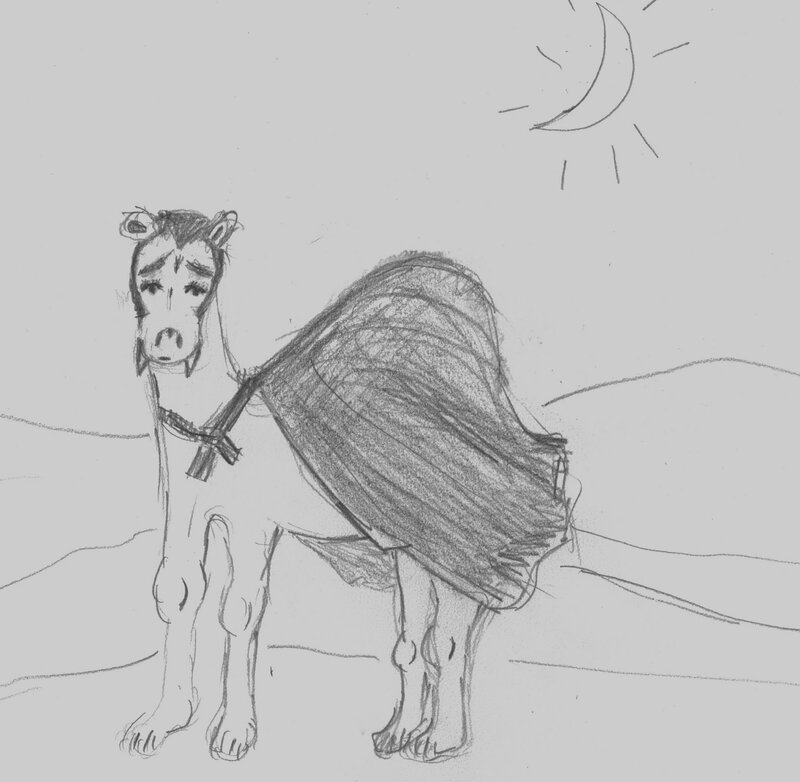 Bill Compton as Camel. I know, it’s weird.